Personally, I have used flashlights and headlamps to light my levels, but that never seems to work very well. It is inevitable that the light will glare off of the vial and shine back into my eye. 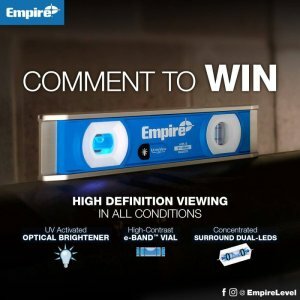 What sets Empire apart is that they use a vial that is already more visible in low-light conditions and they boost the visibility with UV light LEDS and high contrast vial surrounds. Lighting from the inside ensures that there is no light to reflect into your eyes. 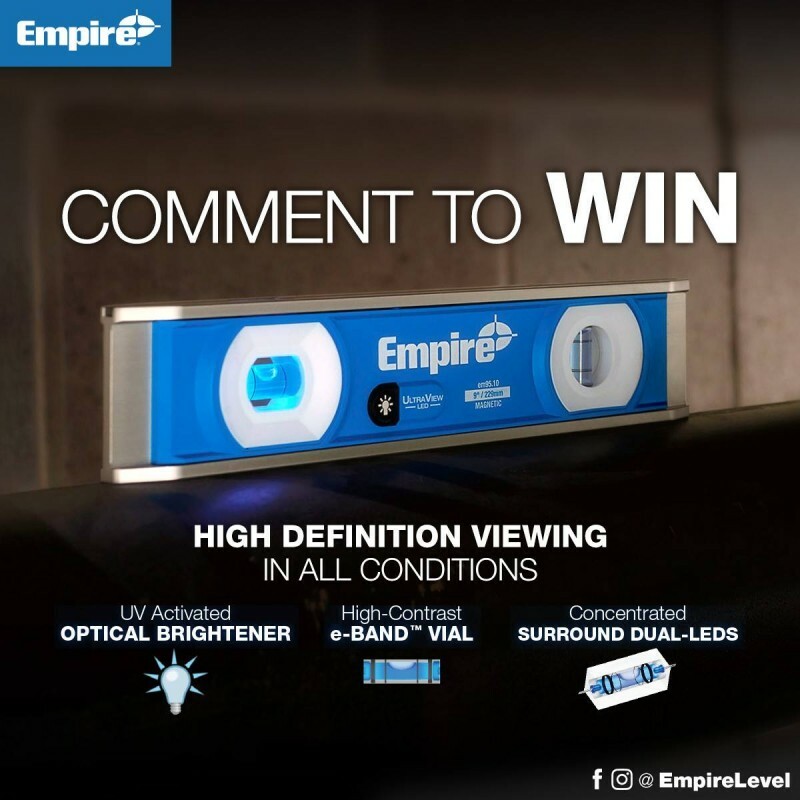 The level is packed with other features as well; like, a V-groove that allows it to nest onto pipes or conduit, a built-in ruler, an all metal I-beam frame for durability, and IP54 rated protection from dust and water.